Yeast infection in dogs is one of the most challenging health problems and it is very difficult to deal with the same. A breakdown in the immune system of dogs is the major cause of this health problem. Lots of other things can also endanger the immune system of your dog. Poor nutrition, vaccine overuse, chemicals used to treat ticks and fleas, steroid, antibiotics, and any other pesticides can use auto-immune diseases in dogs. Several methods should be adopted to determine the causes that destroy immune system in your dogs. Yeast dermatitis or yeast infections in skin are very common in pet dogs. But, the most common target is ears. However, it can appear anywhere on the skin of your dog. It mainly appears in under armpits, toes, deep skin wrinkles and folds, and faces. Yeast infections are extremely annoying. It can affect both animals and their owners. Thus, dog yeast infection is uncomfortable for you and your pet. The discomfort can be mild to severe. ​Your dog requires a well-balanced diet to support their body health and fight against diseases. Poor nutritional choices endanger the health and immunity of a dog. Their ability to fight against fungus is also determined by the quality of food they consume. When you spend money for purchasing dog food, the best products should be purchased, which is essential for maintaining your dog's health and repairing their broken immune system. You should also feed them correctly regardless of their age. Pet owners may provide antibiotics or steroids to deal with yeast infection in dogs, but it will worsen the problem. Instead, you can provide them good and healthy diet. ​Limited ingredient foods are effective for treating skin problems and allergies in dogs. These types of foods provide only the essentials to your dog. Thus, you can reduce unnecessary additions. In such a way, you can reduce allergic reactions in dogs. Starch is the major contributor for yeast infections in dogs. When starch breaks down, it turns into sugar. If the amount of starch is high in dog's diet, the sugar content will also be very high. So, you should avoid peas, rice, oatmeal, and potatoes from the diet of your dog because they are the major sources of starch in dog's diet. Yeast is a type of single-celled fungus, which is reproduced by the budding process. As a result, a portion of the yeast body is separated and become an independent organism. Yeast skin infections of yeast dermatitis in dogs are caused by a species of yeast called Malassezia pachydermatis, which are living and one-celled fungi. 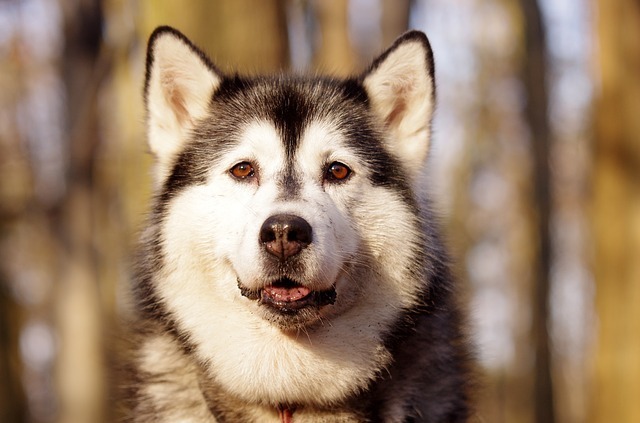 The live bacteria, probiotics are extremely helpful for developing and maintaining a healthy environment in the digestive system and stomach of a dog. Bacteria are not always a bad thing. Bacterias that found in probiotics are helpful for controlling dangerous bacteria that causes a series of problems with digestion. Probiotics are recommended by vets for handling a wide range of problems. 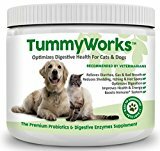 TummyWorks Probiotics Powder is highly helpful for relieving various health problems in dogs such as yeast infection, diarrhea, bad breath, gas, constipation, bloating, and scratching. It is helpful for extracting more nutrients and energy from your pet's food. Thus, they can improve their health and happiness. 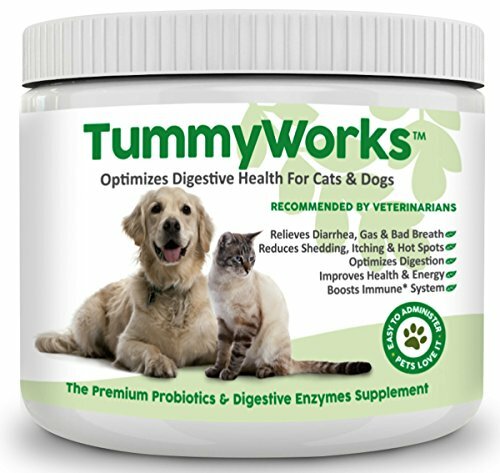 The TummyWorks Probiotics Powder is also effective for boosting the immunity of your dog. So, they get better protection from diseases and germs. Are you facing difficulties to handle various health problems in your pooch friends such as yeast infections, loose stool, constipation, diarrhea, scratching, and itching? Then, you can definitely try Super Strength Probiotics. 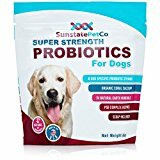 Produced by Sunstate Pet Co, this probiotics supplement for dogs is extremely beneficial for a healthy boost to your dog. Probiotics are very popular for treating a large variety of health problems in dogs. 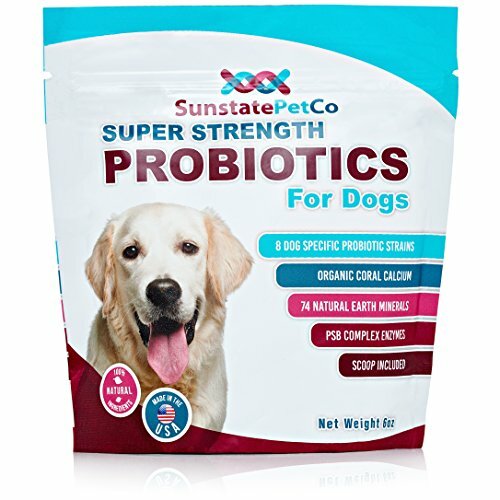 The packet contains 8 dog-specific probiotic strains, which are extremely helpful for promoting healthy immunity and overall health. It contains PSB complex, which is useful for recovering from illnesses or surgery. Organic Coral Calcium in this product is beneficial to foster bone, joint density, teeth, and hip. If you want to activate and enhance the immune and digestive system of your dog, Proviacin-PD Probiotics for Dogs is the best option. It is one of the best ways to protect your pooch friend from itching, allergies, diarrhea, scratching, infected paws, and coat conditions. It is also extremely effective for treating yeast infections and allergies in your dog. This powder comes with a delicious flavor. So, you can provide this powder by mixing it into the dog food. 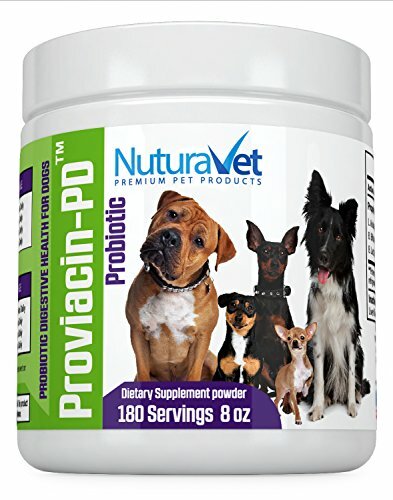 The Proviacin-PD Probiotics for Dogs is also highly beneficial for restoring the overall health of your dog fast and easy. It is also ideal for boosting your dog's immune system, improving healthy digestion, and taking care of your dog in the best possible way. It is also the most effective way to promote the gastrointestinal health of your dog. Yeast infections in your canine friend can be handled effectively by changing the diet carefully. Some special diets are more expensive than others. But, you should remember that they have a significant role in curing yeast issues and other allergies in your pet. You should also select a food that contains very limited ingredients. The food should not contain any grains or sugar. The starch content should be very low. You can avoid the common allergies from beef or poultry by providing them fish protein. The three foods mentioned here are the best choices for fighting against yeast infections in your dog. These foods are extremely safe and effective for your canine friend. So, these are the excellent choice for treating your dog with yeast infections.